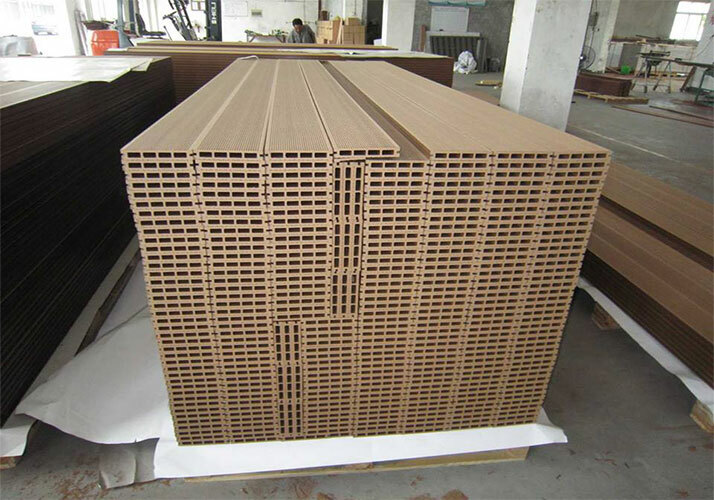 Wood plastic floor into the building materials industry in the development of new directions (waterproof high environmental protection), wood plastic plate, combine the advantages of plant fiber and plastic polymer materials, it is a very promising low-carbon, green, recyclable renewable ecological wood plastic materials. WPC —–with the advantages of plant fibers and plastics, a wide scope, covering almost all wood, plastic, steel, aluminum and other similar areas of use of composite materials, but also solve the recycled plastic, wood industry waste resources problem. Its main features are: raw material resources, products plasticization, using environmentally friendly, cost-oriented economy, recycling technology. WPC plastic products applications is very widely, mainly used in building materials, home decoration, industrial products, logistics, warehousing, whenever used in place of wood, wood plastic products application, it can even replace some plastic products, a wide range of products covering municipal construction, business infrastructure, high-end residential, industrial, electronic industry, petrochemical industry, logistics, warehousing and other fields. Its unique features designed specifically for different types of users to provide Personal customer Tailor.